82 pages | 18 B/W Illus. Master skills beyond those of literacy and numeracy development, including thinking skills, tactical strategies, sequential application and gamesmanship. Devise their own games, developing their ability to use varied methods of application, useful for overcoming learning weaknesses within their own specific profile. . Fully updated in its second edition, this book builds on the success of the author’s Dragonfly Worksheets, as featured in her previous book Supporting Dyslexia Pupils Across the Curriculum and can be used independently or in conjunction this resource. 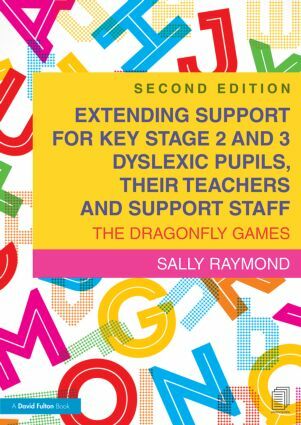 Dragonfly Games further extends the practitioner's portfolio of materials designed to successfully and effectively support the dyslexic learner.